FindLaw is a Thomson Reuters business offering website development and Internet advertising solutions for law firms and other members of the legal community. The need for an easy-to-use and engaging tool for perusing their large and diverse portfolio of law firm websites was obvious. 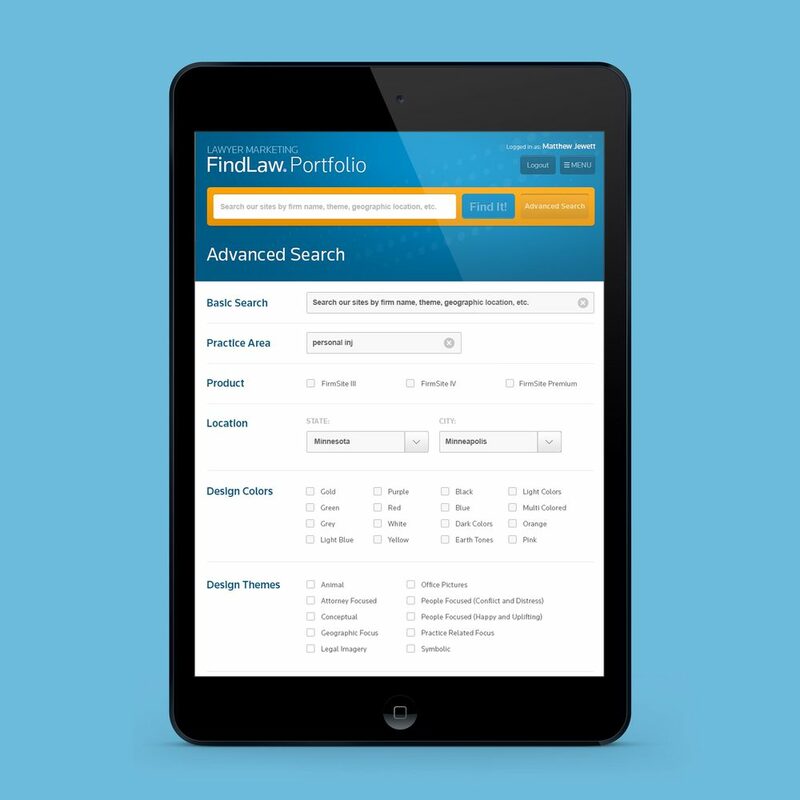 The resulting design was a beautiful portfolio search tool lauded by everyone from management to field sales consultants.